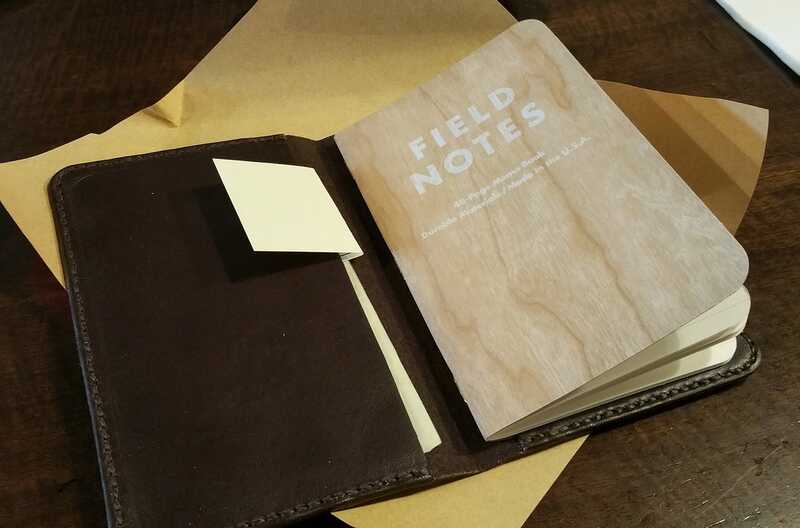 Field Notes makes a quality notebook, but it’s still paper and card stock. Given enough use it will become ragged, making it frail and eventually unusable. The solution is to write more often so that I use up a notebook before it starts to fall apart. While appealing, I do not want to be rushed with my words. 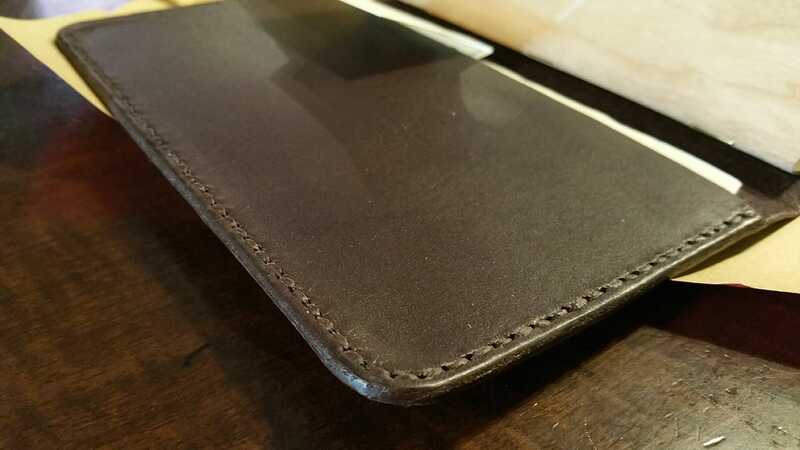 So I found another solution, use a leather notebook cover. 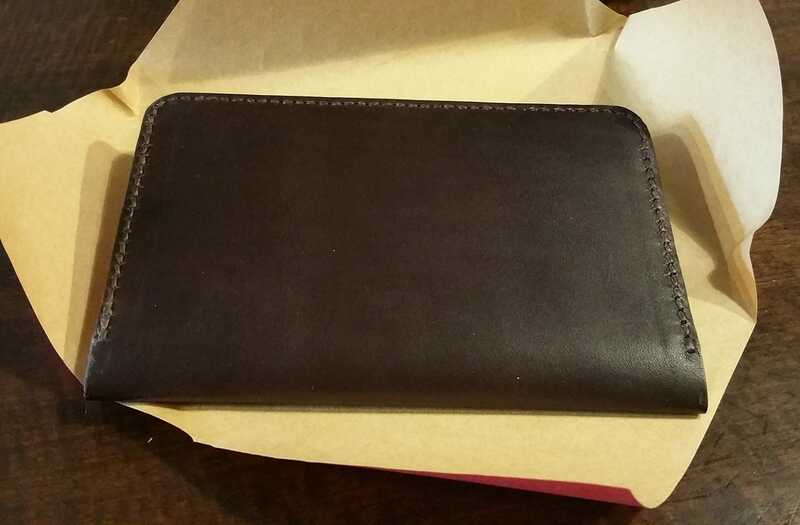 When it comes to buying leather goods I want to make sure I get something that is quality. Something that is going to last me a very long time. It is also nice to buy something from a craftsman who takes pride in their work, pouring their heart and soul into what they create. Looking around etsy I saw a lot of potential notebook covers. 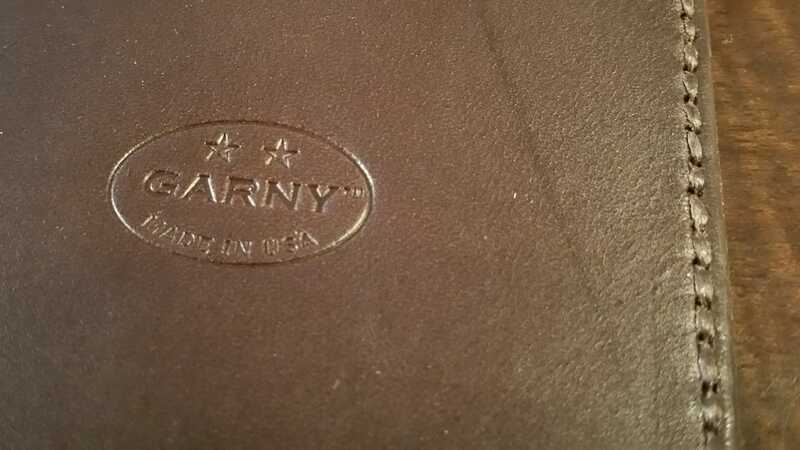 After comparing different options, weighted by things like quality, price, color, and design, I decided on the dark brown cover from Garny Designs. 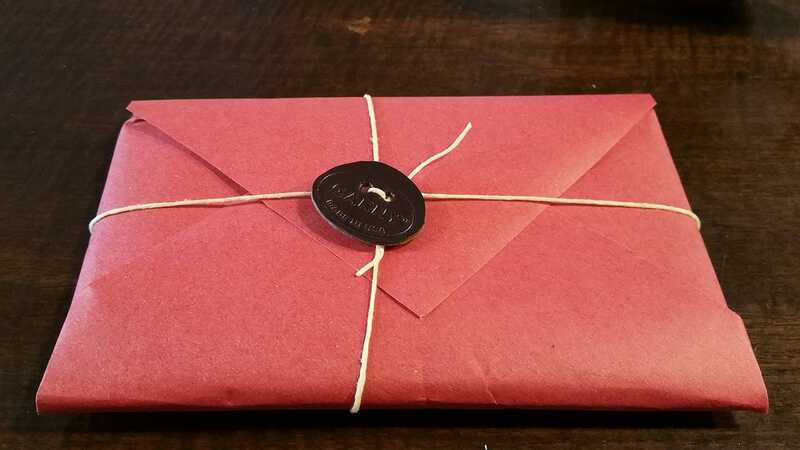 The cover came wrapped in a red craft paper inside a padded envelope. It is easy to see that great care had been taken in the packaging. Such as a craftsman taking great care to show off a piece they were proud of. The leather is smooth and tight. It’s not too soft and not too stiff. The dark brown is even over the whole surface. The wax stitches are uniform in size and shape. You can tell care was taken in the stitching process. The leather pieces are reality thin, making the whole cover not much thicker than the notebook it caries. One of my concerns was that a leather cover would add such a bulk to my notebook as to make it uncomfortable to carry in my shirt pocket. The Garny cover is thin enough that, in the day I’ve used it, I haven’t noticed much different. 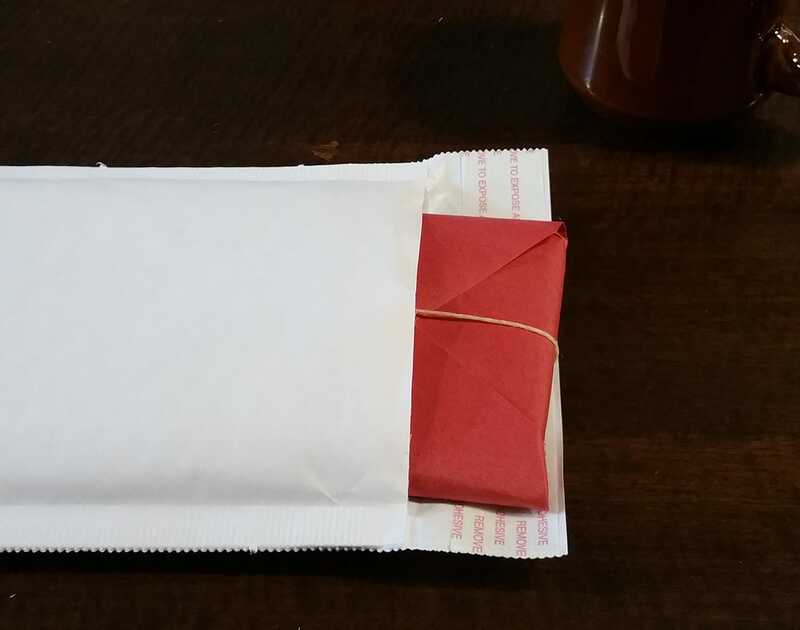 One important reason I chose the Garny cover is the size of the inside sleeves. These are the inside pockets that you slide the notebook cover into. The Garny cover’s sleeves are just about as large as the notebook cover. When the notebook is open the pages lay flat. If the sleeve had been half it’s size, as were a lot of the other covers on etsy, then there would be a bump in the page half layed on the sleeve and half on the back of the cover. I imagine writing on an uneven surface to be distracting. It came with one Shelterwood Field Notes. Which was a nice surprise. 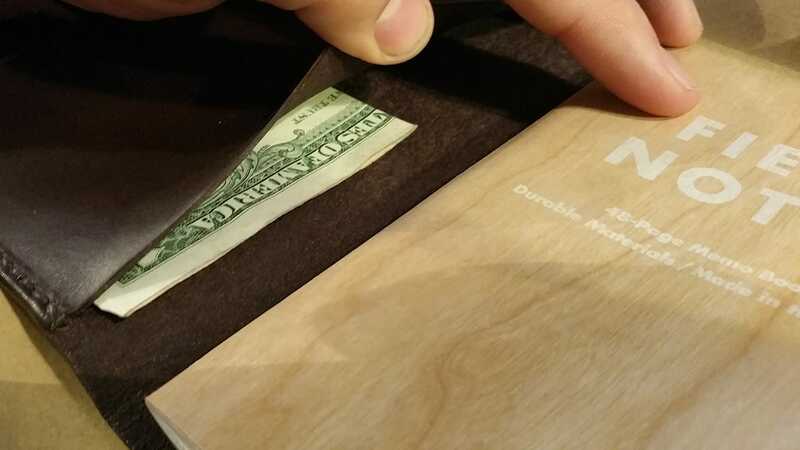 It also came with a good luck dollar. View the full Garny notebook cover gallery on flickr.